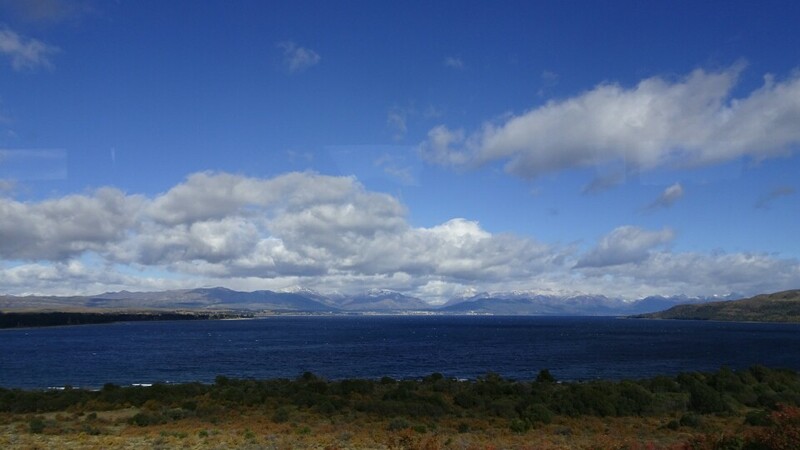 I leave Bariloche a bit disappointed as I couldn’t do all the hikes. 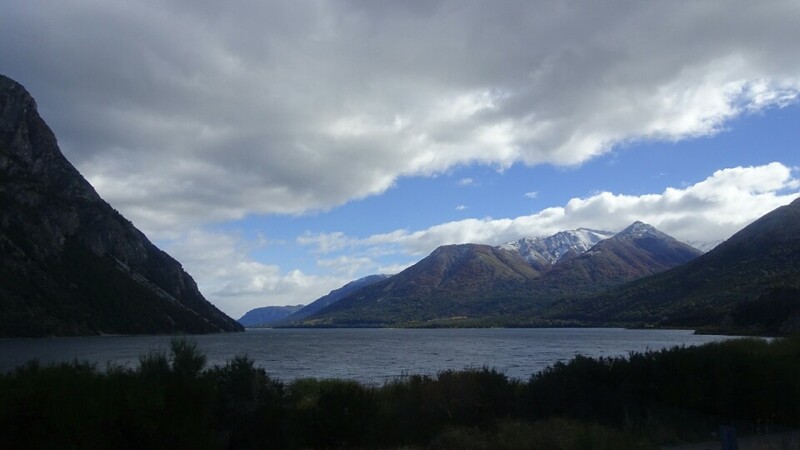 The bus tour to San Martín de Los Andes is beautiful as I chose the scenic Ruta de los 7 Lagos option and got a window seat at the right side of the bus thanks to friendly bus agency staff. The mountains and lakes are beautiful even though the weather is not the best – but at least I am sitting warm and dry inside a bus. 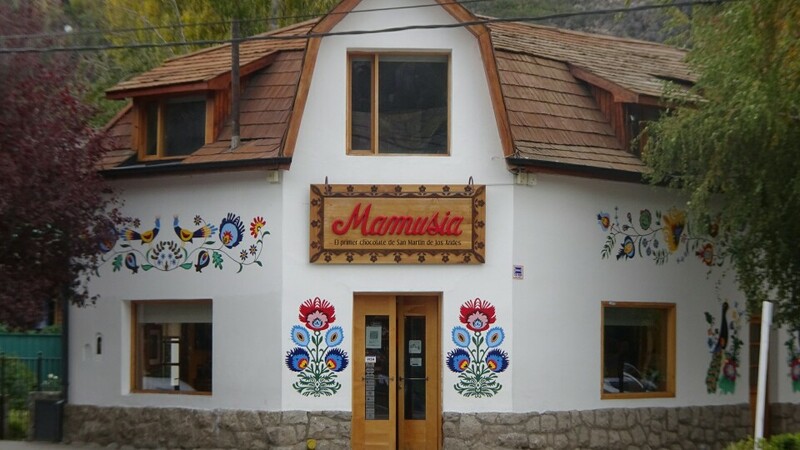 In San Martín I enquire at the national park agency about my options, but the weather will be bad for the next days so the hike to the closest mountain is not worth it and trails further away cannot be accessed as there are no buses going, it’s end of the season. So I just book the bus for the next morning, 6am, to go to Pucón in Chile. 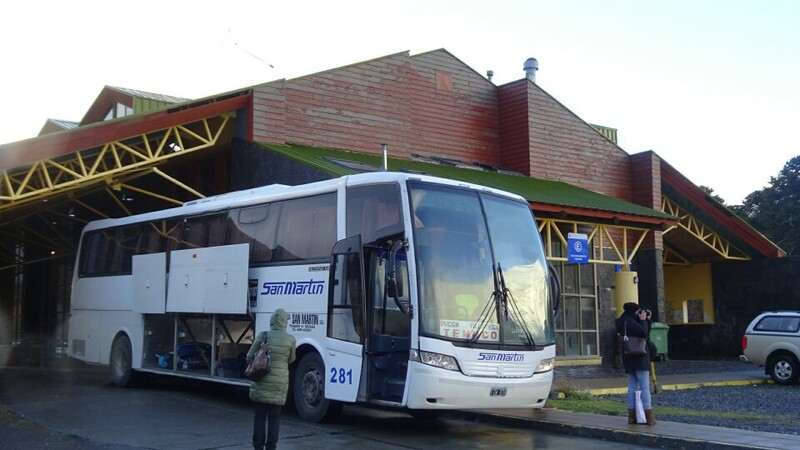 Seems half of the dorm is taking the same bus, but at the bus station I realise once more that there are at least 3 different buses going to Pucón at the same time. I still didn’t get the concept of all companies going at the same time (half empty in off season), instead of offering different timings. My Spanish is not good enough to ask. I have again a window seat but the bus is almost empty so it doesn’t matter. I gaze at the stars outside before falling asleep again, waking up just before the border crossing to the sunrise illuminating the volcanoe Lanin. Wow, this is so beautiful. 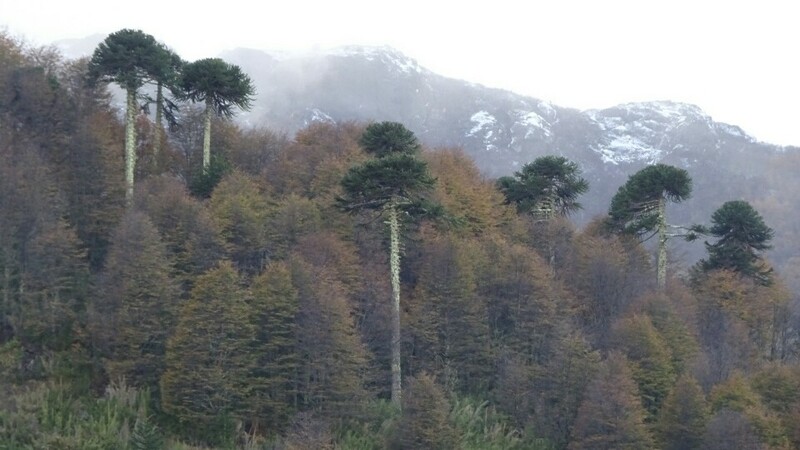 I am fascinated by the araucaria trees and the perfectly shaped volcanoe and take pictures as soon as we can get off the bus for the check out from Argentina and then again with more day light for the entrance to Chile. The Lanin volcanoe, isn’t it beautiful?! The border to Chile, quite a nice place! The bus drivers are very friendly and already know about me being crazy about the volcanoe, calling me in once everyone is through with immigration. The bad weather starts just after our border crossing, we drive down into fog and clouds. 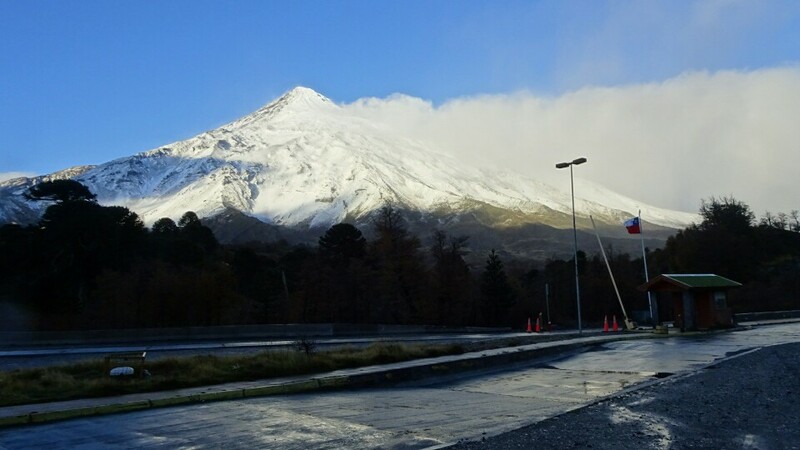 Around 10.30am we arrive in Pucón and I won’t see the volcanoe Villarrica today (nor tomorrow). I walk to the hostel I was recommended, Chili Kiwi, a perfect place! They are welcoming and we get an introduction about possible tours. 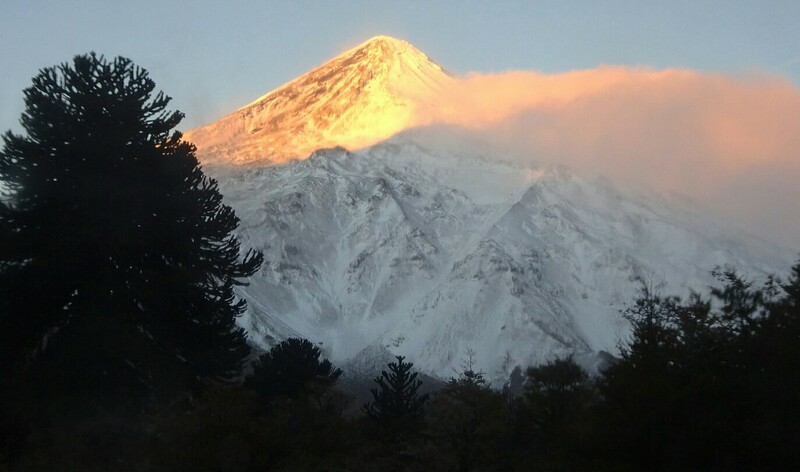 Climbing the volcanoe Villarrica is not possible today or tomorrow, earliest Friday, more likely Saturday. 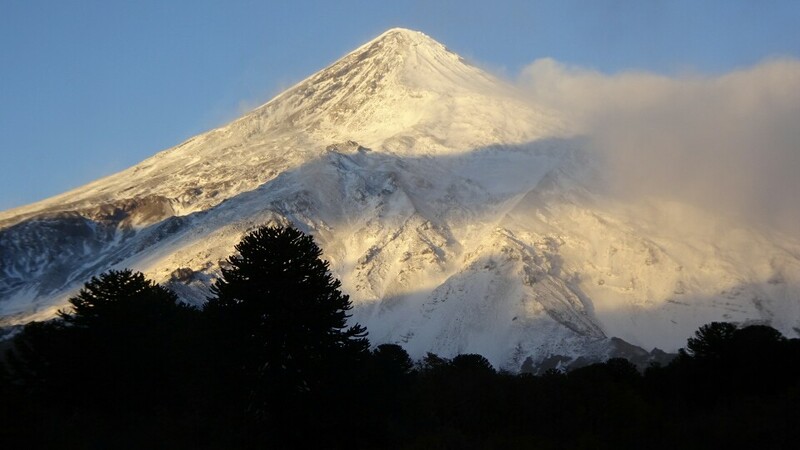 But there are other options for day hikes, hot springs,… I enquire about the Villarrica Traverse, a 5 day hike that I wanted to do in addition to climbing the volcanoe, it’s crossing a few passes and offers stunning volcanoe views. But at the CONAF (the national park administration) they laugh at me, telling me the traverse is already closed due to snow and I have to come back in September earliest. 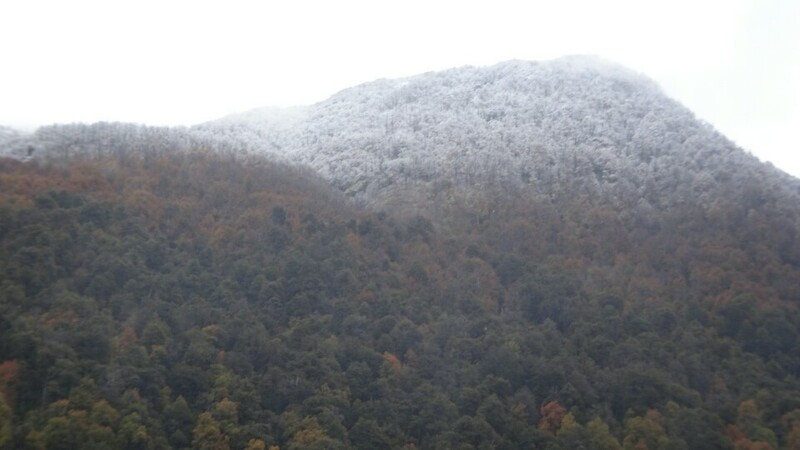 I am very disappointed now, I was somehow hoping to be able to do it (but honestly, I am not far from Bariloche and could have guessed winter arrived here as well). What my brain knows my heart didn’t accept yet. It’s raining and foggy so I retreat to my small dorm, a cozy Harry Potter themed dorm where I got the best bed at the window. I love it. I have space for my stuff, a light, a power outlet, a window to look outside at the rain and no one else is around the whole afternoon. Plus the Nimbus 2000 broom is hanging up just above my bed, maybe I can just fly with it to the volcanoe tomorrow? Or do some magic to make the bad weather disappear? Not a bad place to hang out a few days and wait for better weather! 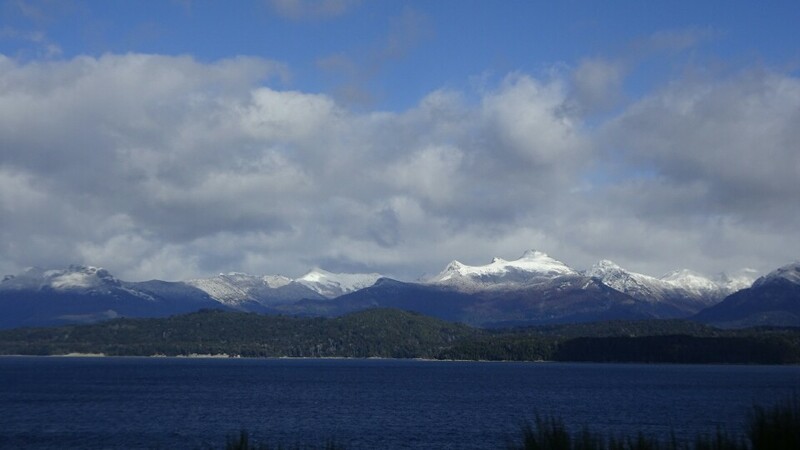 Previous Post ​Nahuel – Huapi – Traverse (well, at least a trial). Next Post ​Pucón. El Cañi Hike and Horse back riding.